A free resource for recruiting and hiring a diverse workforce. We have a pool of workers available between 5 to 40 hours a week depending on your needs. Workers come with a certified job coach to ensure your job goals are met. 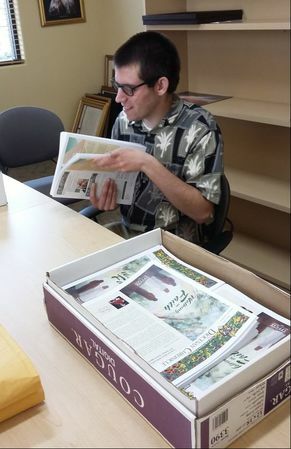 The Opportunity Foundation’s Supported Employment program is working to build a stronger Central Oregon by helping people with disabilities obtain and be successful in community jobs while assisting employers in meeting their unique needs. Job coaching is offered to employees and their employers to train the new employee to the job and provide ongoing support to ensure job retention. There are many ways to introduce individuals to working in a community job. Participating in employment tours and other discovery activities broadens an individual’s view of employment. The people served by the Opportunity Foundation are eager to gain skills, independence and social opportunities through employment. If your business is interested in employing any of our qualified job seekers, please email lhemsley@opportunityfound.org or call 541-548-2611 to learn more. Fill meaningful jobs that help your business meet your goals by hiring dedicated workers from our pool of job ready applicants. A.J. was the perfect match for the Diocese of Baker. He values the quiet environment and routine. The Diocese can depend on him because he has excellent attendance and displays high attention to detail, which makes him a valuable employee. 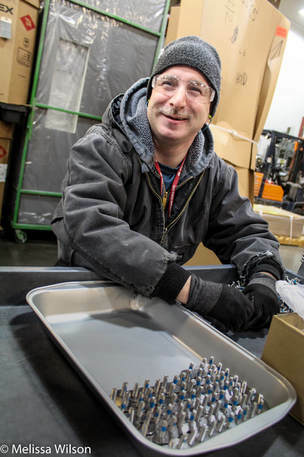 Josh works in the production line at Senneca holdings. He has worked there for four years and has moved to a more independent job. He helps make sure the job is done. 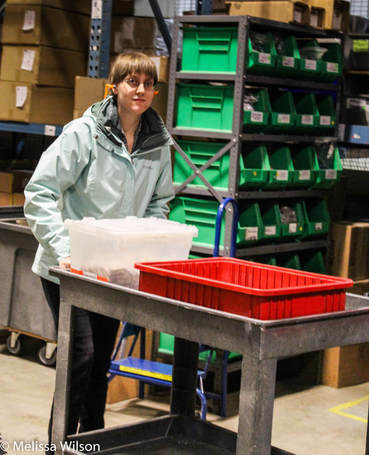 Jessica works in a small group which helps to bag parts for Chase Doors. She works hard to ensure Chase Doors has the work needed completed on time and to specification.